Beans are such an important part of Mexican cuisine, so it shouldn’t be a surprise to anyone out there that the Randall family loves celebrating Cinco de Mayo! 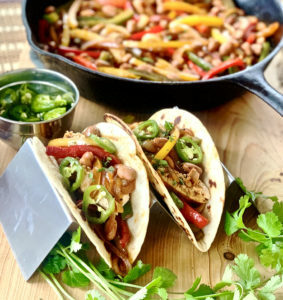 This holiday is a celebration of Hispanic culture and heritage, so what better way to celebrate than cooking up some amazing Cinco de Mayo recipes with Randall Beans? 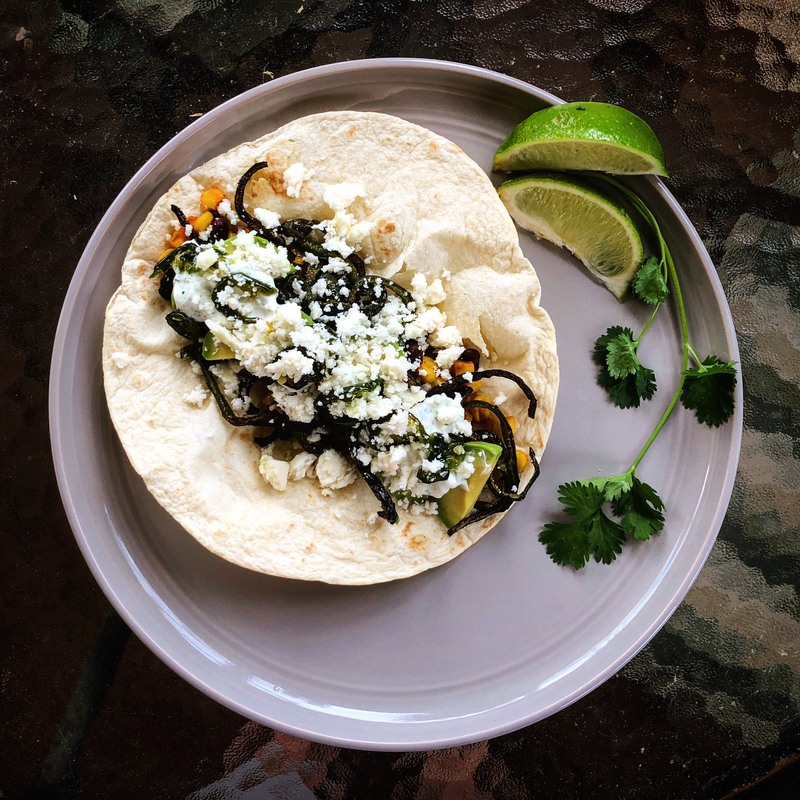 We rounded up a couple of our favorite Mexican recipes from our own collection, as well as a couple other tasty creations we found! This recipe cuts back on meat, but not on flavor. These sweet and spicy vegetarian tacos will make everyone happy! Instead of beef, steak or chicken, peppers take center stage. We devised a devilishly delicious way to contain the heat of the jalapeños and add a new dimension to the dish at the same time. Using a little bit of sugar, water and a hot pan, this recipe candies the peppers! Making the jalapeños candied helps cut the heat by giving them some yummy sweetness! Also, having a crema will add a cool, creamy element to the dish. Charro beans are a Mexican bean soup using hearty pinto beans in a flavorful broth typically using onions, garlic and bacon. This version of the dish from House of Yumm helps deepen these classic flavors by letting it simmer in a slow cooker. Chicken stock and jalapeños add even more flavor and spice to the soup while it is allowed to stew together. 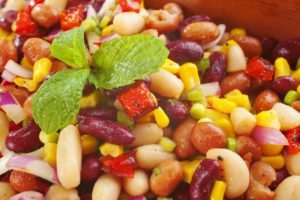 This recipe includes extra steps on soaking dried pinto beans overnight… but of course if you use Randall Beans Pinto Beans there is no prep necessary! Bubbly, melty, gooey cheese… what’s not to love about queso? Usually a great dip to serve as an appetizer, this recipe from The Cozy Cook lives up to its name as a “cowboy queso” and is more of a meal than an appetizer! Loaded up with veggies, ground beef and, of course, black beans, this easy queso recipe is the perfect way to get your Cinco de Mayo fiesta started. Be sure to remember it for football season too as a great game day snack. Enchiladas are delicious, but for inexperienced chefs, the assembly can be a little frustrating. Making sure the enchiladas are tightly rolled, fussing with the messy sauce, it isn’t the most difficult task but certainly a lot of work. This Randall Beans recipe cuts all the fuss out of enchilada-making by layering tortilla and filling like a lasagna! It is fun to make and eat, loading up on zesty green chilies, juicy shredded chicken and hearty great northern beans for a bit of a different take on Mexican cuisine. We love one-pot meals – recipes where all you need to do is toss the ingredients in one pot and get it all cook together. That is why were had to share this recipe from Sofab Food! This dish is full of vibrant colors and flavors created by bell peppers, corn, onions, tomatoes and black beans. There’s enough moisture in the dish that you don’t even have to cook the rice separate pot! Once it is done, you have a fajita-style rice and beans skillet that is so easy to make. Craving more Cinco de Mayo recipes? 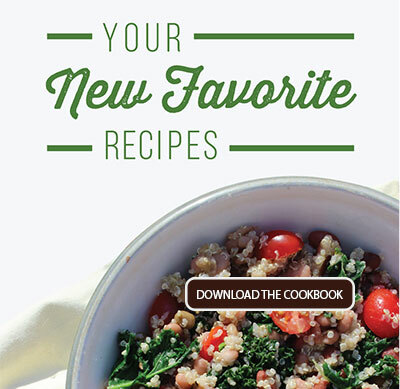 Don’t forget to grab a copy of our free Mexican cookbook Fabulous Fiesta Foods! 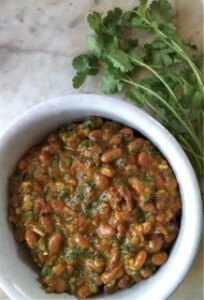 These legume recipes are fantastic for celebrating Cinco de Mayo!